“Whatever U Want” G.O.O.D. Music Remix! G.O.O.D. Music fans pay attention! The official remix to the Consequence ft. Kanye West & John Legend single “Whatever U Want” (also dubbed the G.O.O.D. Music Has Arrived Remix) is dropping next week and will feature verses from Common, KiD CuDi and Big Sean! This track should be crazy and we will have it for you here when it releases. Here’s some videos of Big Sean and the FF crew chillin’ out on the beach in Hawaii. Although I personally do not condone thong sandals (chancletas if you will), there IS a time and a place for everything. According to his twitter, Earlly is giving any and all producers, big or small, a chance to produce on his future projects. 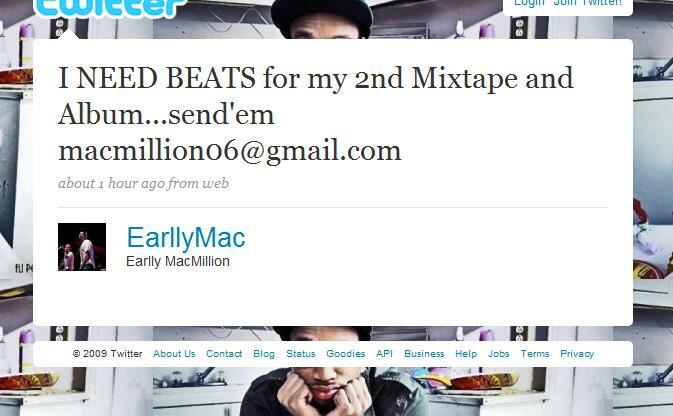 Submit your beats to macmillion06@gmail.com. Good luck everyone! I hope you guys got your tickets for this show because they are all sold out! WEKNOWBIGSEAN will definitely be in the building so expect some exclusive footage. J. Cole, on twitter, assured me that although he would not be performing at the show, he will try to be at the venue to show Rosenberg/NYC some love. So New York make sure you come out and support good music! 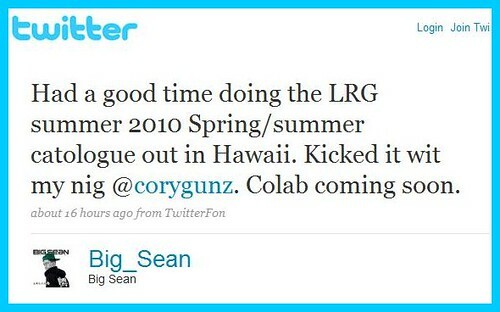 New Exclusive Big Sean Track Next Week! You heard it here first! 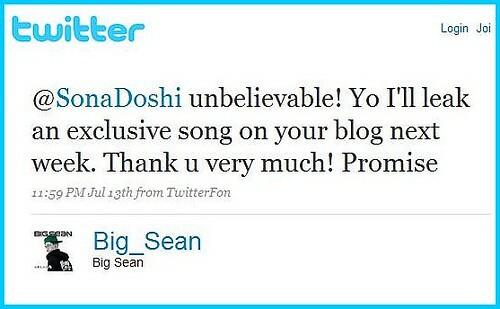 Props to our fellow WEKNOWBIGSEAN contributor Sona for the tip off. Big Sean couldn’t release the video due to some record label red tape, but he played it on his Kyte channel and we have it here on WeKnowBigSean! He was having connection difficulties during the viewing so it stops at some points, otherwise, enjoy! the Getcha Some video will be dropping soon i promise! sorry but its not my fault! if it was up to me i woulda dropped it months ago! The news isn’t all bad though; Big Sean is still going to chat on his Kyte channeltonight, so make sure you’re there!